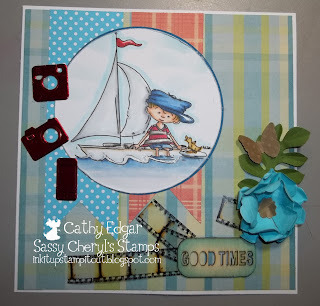 Sassy Cheryl's Digi Stamps Challenge Blog: Challenge #160...A Sketch! Trust you had a lovely Easter weekend! Each day it looks more and more like spring has really sprung! I even saw a honey bee collecting pollen from some Crocus!! Would you just look at this fab coloring! Becky, just drop Cheryl an email SassyCherylsStamps@me.com and she'll get your TWO FREE images emailed right to you! Thanks for playing along. Hope you'll have time to share another amazing creation with us this week. Now, on to our challenge this week from none other than that queen of pencils...sassy Judy! She has drawn up a sketch for us...I love a sketch challenge!! Just look at what the DT created for your inspiration!! Sketch challenge. We're anxious to see! COngrats Becky! Hope you'll play along again this week. Ladies. . . .you've outdone yourself again! Super gorgeous cards. FABulous DT cards.....Thank you soooo much for the Challenge. Lovely DT samples as always!